We are very proud of our privileged association with Dimensional Fund Advisors, one of the world's leading money managers. Very few advisors are able to directly offer Dimensional funds to their clients and the value and depth that Dimensional offers is a great fit for many of our clients' investment management strategies. Dimensional has forged deep working relationships with some of the world's leading financial economists (including Nobel Prize winner Eugene Fama) to bring their time-tested theories and research to practice. 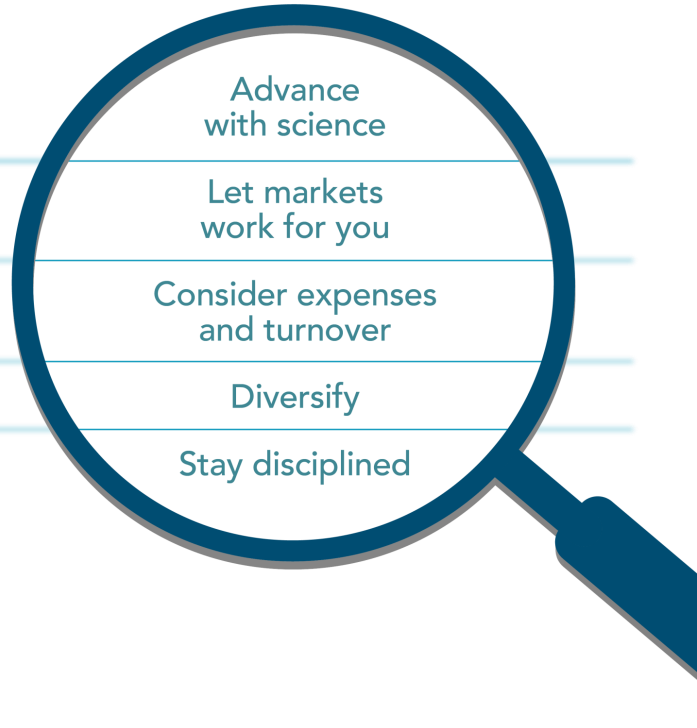 Though bound to a rigorous process, Dimensional also knows what works for investors. At Dimensional, financial research leads the way in understanding risk and return in securities markets. By maintaining a continuous feedback loop between the academic community, practitioners, and clients, Dimensional is always researching tomorrow's solutions today. Dimensional's approach strives for a more consistent ability to outperform the markets, which is accomplished not only by their investment acumen, but also by their extreme focus on keeping costs and taxes to a minimum wherever possible. We hope you'll take a few moments to click on the links for a broader sense of the quality of their team and the power of their approach.